Caleb Lazure (Omaha Skutt Catholic) 30-10, Fr. over Shawn Buchanan (Crete) 48-3, Fr. (SV-1 4-2). Bryce Brown (Hastings) 36-3, Fr. over Jackson Nielsen (Blair) 38-10, So. (Dec 10-4). Andy Rojas (Lexington) 41-7, Jr. over Chase Larsen (Plattsmouth) 40-8, Jr. (M. For.). Van Schmidt (Gretna) 51-0, Jr. over Joseph Orsi (Omaha Skutt Catholic) 27-11, Fr. (Dec 6-0). Trevor Holley (Gothenburg) 49-6, Sr. over Blayne Kile (Hastings) 17-4, Jr. (Dec 2-0). Grayson Fries (Northwest) 37-12, So. over Brady Fago (Lexington) 18-12, Fr. (Dec 7-5). Trey Arellano (Sidney) 53-3, So. over Walker Moore (Blair) 44-2, Jr. (Dec 4-2). Nicholas Stoltenberg (Omaha Skutt Catholic) 26-11, Fr. over Trevor Fauver (Gretna) 40-7, Jr. (Dec 9-4). Wyatt Hotz (Gothenburg) 43-15, So. over Jerryd Hernandez (Scottsbluff) 24-14, So. (Dec 3-2). Korbin Meink (Omaha Skutt Catholic) 38-3, Sr. over Devontae Gutierrez (Scottsbluff) 35-7, So. (Dec 3-2). Andrew Nielsen (Plattsmouth) 31-7, Sr. over Bryce Larson (Gothenburg) 43-8, Sr. (Dec 9-2). 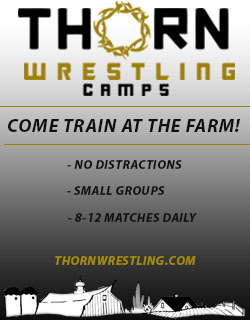 Tyler Cunningham (Gretna) 45-6, Jr. over Carter Thompson (Aurora) 34-11, Sr. (Dec 2-1). Connor Laux (Hastings) 42-2, Jr. over Joe Ritzen (Chadron) 39-2, Sr. (Dec 6-4). Mario Ybarra (Scottsbluff) 33-9, Jr. over Brody Bashus (Plattsmouth) 40-15, Sr. (Fall 2:36). Stone Mendez (Omaha Skutt Catholic) 23-17, Jr. over Logan Slater (Fairbury) 40-13, Jr. (SV-1 4-2). Riley Berg (West Point-Beemer) 50-0, Sr. over Scott Fulsos (York) 60-3, Jr. (Fall 4:00). Mario Venzor (Schuyler) 40-8, Sr. over Jake Cluxton (Bennington) 31-4, Sr. (Dec 2-0). Jorgen Johnson (Alliance) 35-6, Jr. over Tyler Brandenburg (Columbus Scotus) 38-12, Sr. (Dec 4-1). Ben Rodriquez (Scottsbluff) 38-6, Sr. over Josh Pokorny (Bennington) 46-2, Sr. (Dec 3-2). Layton Mullinix (Columbus Scotus) 50-4, Sr. over Cole Huss (Gretna) 32-14, So. (Dec 7-6). Rhett Trail (Nebraska City) 40-6, Jr. over Rey Valdez (Alliance) 15-5, Sr. (Dec 4-2). 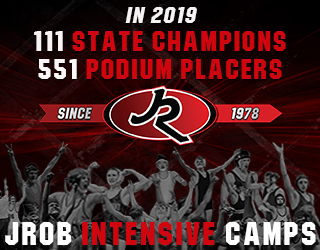 Derek Robb (Sidney) 56-0, Jr. over Tomas Margritz (Lexington) 48-5, Jr. (Fall 2:36). Cody Everhart (Gretna) 48-7, Jr. over Logan MacDonald (Bennington) 43-6, Jr. (Dec 6-1). Matthew Harvey (Norris) 38-12, Jr. over Dylan James (West Point-Beemer) 40-14, Sr. (Dec 3-1). Billy Higgins (Omaha Skutt Catholic) 40-4, Jr. over Damian Green (Fairbury) 43-6, Sr. (Dec 6-2). Lance Jarrett (Gretna) 50-4, Jr. over Danny Vallejo (Alliance) 35-4, Sr. (Fall 2:25). Jacob Pinkerton (Beatrice) 44-6, Sr. over Johnny Gill (Auburn) 43-11, Sr. (Dec 5-3). Kole Gray (Plattsmouth) 36-13, Sr. over Damen Pape (Hastings) 45-3, Fr. (MD 14-1). Bryant Wilson (Alliance) 39-6, Sr. over Curt Randall (Omaha Skutt Catholic) 26-2, Sr. (Dec 8-6). Jacob Johnson (Fairbury) 49-5, Jr. over Prestin Melroy (Holdrege) 42-3, Jr. (Dec 3-2). Salem Harsh (Scottsbluff) 50-0, Sr. over Sam Kolterman (Wahoo/Cedar Bluffs) 43-7, So. (MD 10-0). Trevor Nichelson (Ashland-Greenwood) 42-4, Sr. over Eric Langan (McCook) 29-8, Sr. (Fall 4:39). Gavin Eason (Norris) 43-6, Jr. over Jeb South (Northwest) 33-17, Jr. (MD 13-3). Grant Bruner (Gretna) 51-2, Sr. over Trevor walton (Boys Town) 34-2, Sr. (Dec 3-2). Danny Thompson (Omaha Skutt Catholic) 20-7, Sr. over Jack Sutton (Wahoo/Cedar Bluffs) 45-4, So. (Dec 4-0). Kobe Paez (Scottsbluff) 38-17, Sr. over Ethan Sherman (Crete) 42-8, Sr. (Dec 4-3). Cole Krecklow (Wahoo/Cedar Bluffs) 44-1, Sr. over Kaleb Taylor (McCook) 28-6, Jr. (Dec 5-3). Wyatt Gutzmer (Columbus Scotus) 43-8, Sr. over Jesus Maganda (Schuyler) 39-7, So. (Dec 6-1). Bronson Titus (Holdrege) 40-6, Jr. over Tyson Bruce (Bennington) 37-14, Sr. (Dec 8-3). Pat Arnold (Gretna) 40-10, Sr. over Trent Hixson (Omaha Skutt Catholic) 31-9, Sr. (Fall 3:46). Jason Nanke (Plattsmouth) 17-4, Sr. over Cory Harper (Blair) 38-13, Sr. (Fall 3:30). Dalton Williams (Nebraska City) 40-6, Sr. over Dominick Barrett (Boys Town) 33-8, Sr. (Fall 2:15).